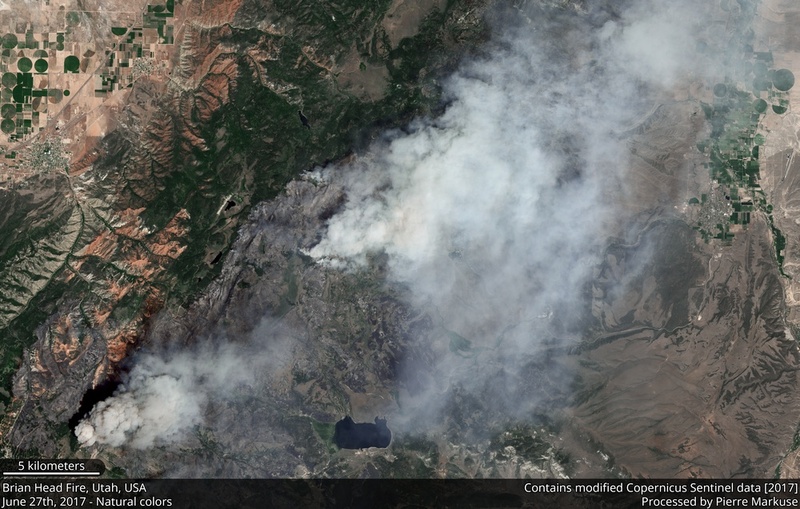 The Brian Head Fire in Utah, USA, started on June 17th, 2017, and of today is still ongoing and affected an area of almost 60,000 acres. 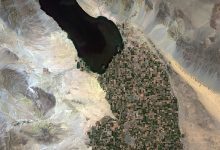 Take a look at this Sentinel-2A satellite images showing the whole area in natural colors and in near-infrared/short wave infrared (NIR/SWIR), using data from bands 12, 11, and 8, on June 27th, 2017. 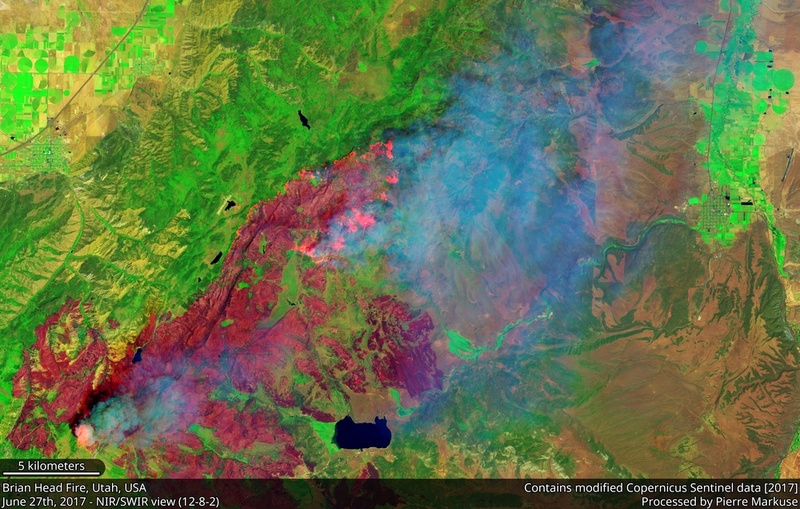 The natural color image is showing the massive smoke plumes of the active fires, but when you slide to the NIR/SWIR image you can see through the smoke. In this image areas with possible ongoing fires show up in orange-yellow and you can also clearly make out the burn scars left by the wildfire. If we combine the natural color image with the highlights of this NIR/SWIR view to indicate possible fires, we get this view, as you can see the orange-yellow areas are lining up nicely with the zones where the smoke plumes are originating from, another sign for an ongoing fire. In natural color images, using just bands 4, 3, and 2, fires can rarely be seen (see the natural color image in the slider), adding these NIR/SWIR highlights ironically makes the image look more real to a broader audience. Another view of the area can be seen below, this time using data from bands 12, 8, and 2. 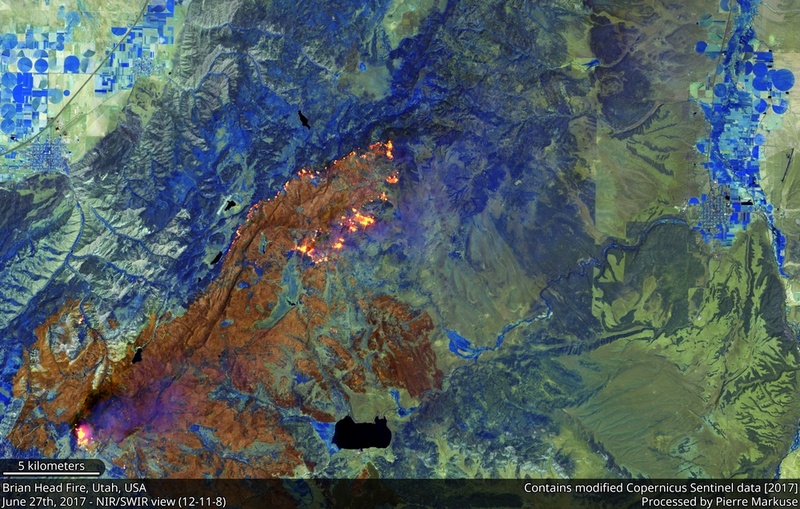 This band combination shows the differences between burn scar and healthy vegetation even more effective, and it also allows you to see areas with possible fires in light red, although not as clearly as the 12-11-8 combination you have seen in the image slider. Smoke penetration is also not as good as with the 12-11-8 combination. Finally, here is a video fading between natural color view and the band 12-11-8 NIR/SWIR version. This fading shows the differences in information you get using different band combinations quite clearly, as it highlights the fires and showcases the smoke/atmospheric penetration that is possible using Senintel-2A’s NIR/SWIR bands.